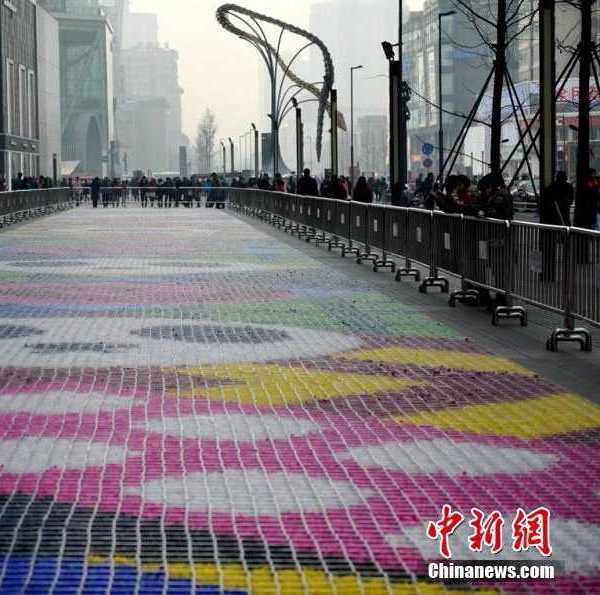 China wants roads with good taste that also taste good, prompting a team of artists to meet the challenge with a 550-ft long street of sweet dreams. 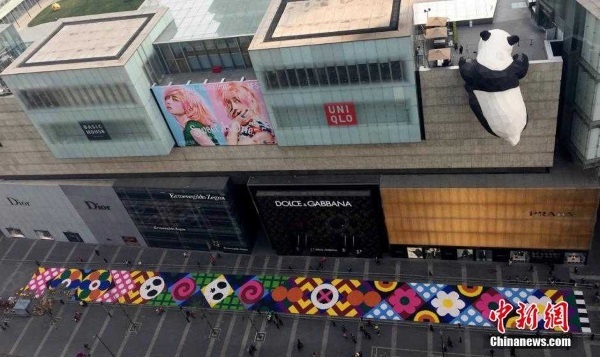 Hongxing Road is one of the premier shopping streets in Chengdu, capitol of China’s southwestern Sichuan province and home to over 14 million people. 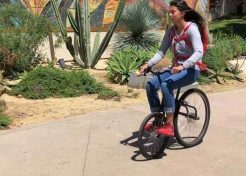 It’s also a pedestrian-only thoroughfare – a good thing considering a local art collective commandeered the street one day for a little sweet street art! 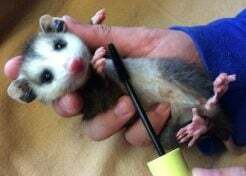 Did we say “little”? 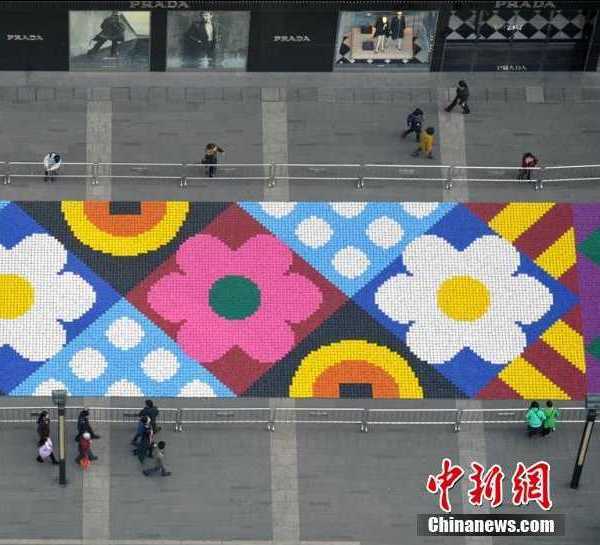 Well, all things may be relative but there’s no disputing the stats: the brilliantly colored mosaic that rather suddenly appeared on Hongxing Road measured 180 meters (590.5 feet) long and 7 meters (about 23 feet) wide by the time it was completed. 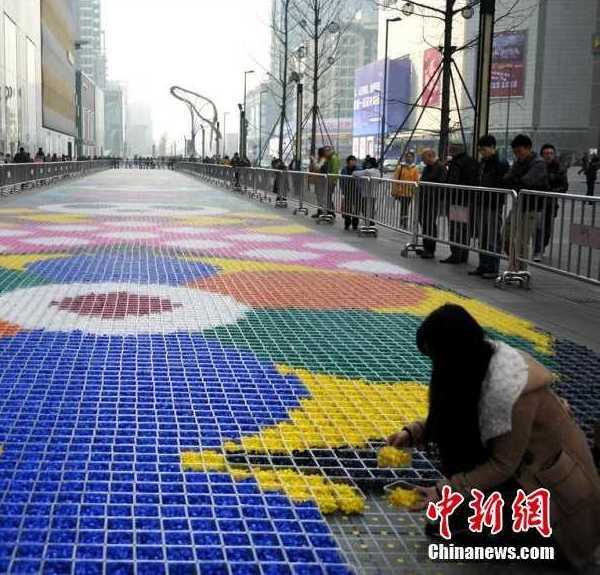 Add in the long line of metal crowd-control barriers set up along the mosaic’s length and you’ve got one mighty magic carpet… except unlike most other kinds of carpets, this one wasn’t designed to be stepped upon.